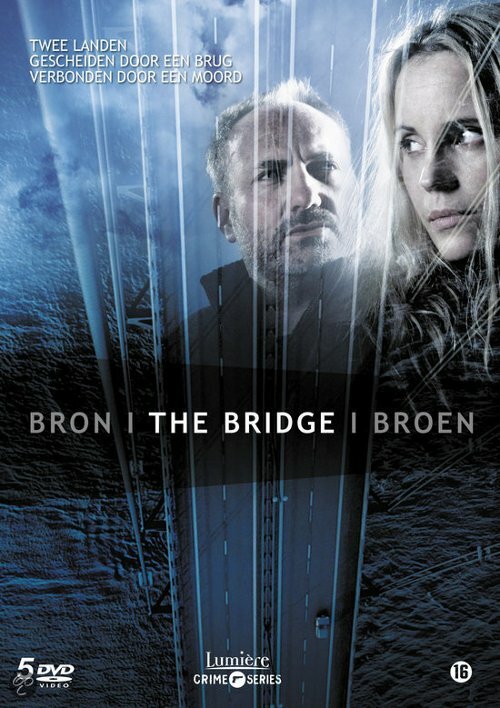 The Bridge (Danish – Broen, Swedish – Bron) is a Danish / Swedish TV series written by Björn Stein and created by Hans Rosenfeldt. Similar to my previous review of Forbrydelsen – Season 1, I shall review it as a story, and not as a drama, since I haven't the faintest idea on how to judge acting or screenplay. I had been reading a lot about the combined metropolitan area of Copenhagen-Malmö and that too, integrating so rapidly ever since the construction of the Øresund Bridge. So, while reading about them, I stumbled upon this TV series while reading about Copenhagen-Malmö and I found the concept to be rather different and really interesting – and I couldn't avoid my temptation, despite my usual aversion towards stories narrated through a visual medium. The power supply is to the Øresundbron is cut off, for a very brief period and within that span of time, a body of a woman is found, exactly in the Denmark – Sweden border. The member of the Malmö CID, Saga Norén (Sofia Helin) takes the lead, initially because the woman is Swedish but it is found out that it is the body of two different women, with the top half belonging to a Swede and the bottom half, a Dane. This brings Martin Rohde (Kim Bodnia) into the investigation, a member of the Copenhagen police and a Swedish-Danish collaboration begins, in order to solve the case. It was interesting, and had an altogether different kind of mass murderer who maintains contact with a journalist, using him as a medium to communicate his message and eventually got himself named the 'Truth Terrorist'. I found this similar to Ian Rankin's crime novels, where social issues / current state of the society are brought out through a crime novel (I also found a lot of similarities between this story and Rankin's first Rebus novel Knots & Crosses which is something I shall be writing about, soon). Moreover, the Martin – Saga combination was really interesting, two totally different characters; Martin is married whereas Saga is single; Martin understands emotions whereas Saga shows no sort of emotions, and occasionally ends up saying something comical and also, Saga is too strict about rules and procedures whereas Martin doesn't mind a breach so long is it benefits the police. Like in the case of any GOOD crime story, there were a lot of twists and turns, keeping things going for 10 hours and also one can expect a lot of red-herrings. Some say that the impact of the murder in the family of the deceased wasn't touched at all in this series but that is something that I appreciate, unlike the case of Forbrydelsen Season 1 where the scenes involving the Birk Larsens began to get too boring beyond a point. What was really disappointing was the way the character of Stefan Lindberg, the social worker based in Malmö was ignored subsequently and if the writers were going to do that, there was no need to emphasise on him so much, in the beginning. There is a second season scheduled but I really wonder how they're going to do it, considering the title, the scope seems too narrow and if Saga and Martin are to collaborate again, it could only be possible in case the case of an old wine in a new bottle scenario but it'd be interesting to see how the writers manage it. I also learnt a lot more about Scandinavia from Broen than I could from Forbrydelsen or Borgen. Considering the investigations, the way in which they were carried out, the story, and of course, what I believe to be the most important aspect in any crime story, that is the end, which was more than satisfactory and considering all this, I'd award this a rating of seven.